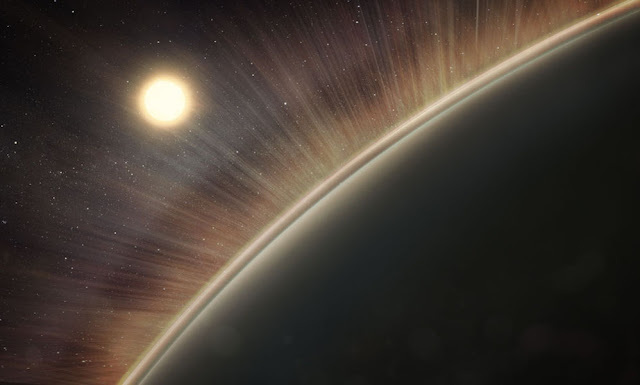 In what is being hailed as an “amazing” and “shocking” discovery, researchers at NASA and University College London (UCL) have discovered an “electric wind” around Venus that may have played an essential role in stripping the oceans from the planet’s surface. The findings, published Monday in the journal Geophysical Research Letters, are based on new findings from the European Space Agency’s (ESA) Venus Express mission which revealed that the planet has an electric field strong enough to accelerate oxygen to speeds fast enough that the heavy, electrically-charged component of water can escape its gravity. 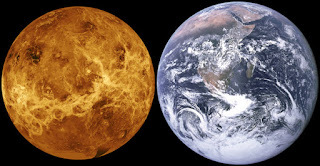 Venus is similar to Earth in terms of its size and gravity, and according to the US space agency, there is evidence that it may have once had oceans of water on its surface. However, due to the planet’s average surface temperatures of roughly 860 degrees Fahrenheit (460 degrees Celsius), any such ocean would have boiled off long ago, rendering the planet uninhabitable. Furthermore, its atmosphere has between 10,000 and 100,000 times less water than that of the atmosphere surrounding Earth, despite the fact that its pressure is roughly 100 times higher. So what caused that steam to disappear? As it turns out, this newly discovered electric wind might have been the culprit, as Collison said that it was “capable” of pulling off such a feat. According to the study authors, when water molecules reach a planet’s upper atmosphere, the light from the sun breaks them down into faster-moving hydrogen ions and heavier oxygen ions that tend to be carried off by the electric field. By studying electrons flowing away from Titan, Mars, and Venus, the researchers found that in most cases, those ions are lost forever. Collison said that his team discovered that this mechanism is responsible for the escape of more than 100 metric tons of oxygen ions per year from Venus, and that their findings indicate that the electric field powering the phenomenon is surprisingly strong – at least five times more powerful than that found here on Earth, for reasons that scientists do not completely understand. Venus might have been much more Earth-like in the past. By using the spectrometer to monitor electrons flowing out of the upper atmosphere, the authors noticed that the electrons were not escaping at their expected speeds because those electrons had been tugged on by the planet’s electric field. They measured the change in velocity, discovering that the field was far stronger than previously expected. The findings could allow astronomers to improve the estimated size and location of habitable zones around other stars.